PORT OF SPAIN, Trinidad, Aug 31, CMC – Trinidad and Tobago observed its 56th anniversary of political independence from Britain on Friday with the traditional military parade and differing statements from the politicians regarding the socio-economic development of the oil-rich twin island republic. While President Paula Mae Weekes noted that independence is a work in progress she urged citizens to continue ensuring the development of the country. She said since that time Trinidad and Tobago has enjoyed a relatively stable democracy, significant economic transformation and general improvement in the quality of life of its citizens. But she said considering the current challenges of crime and the economy, plus the island’s use of the London-based Privy Council as its final court, the world economy and global climate change, she asked how independent Trinidad and Tobago is. “Political separation from the United Kingdom was only the first step of our long journey of self-discovery. 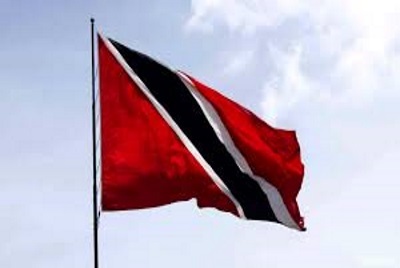 In his message Prime Minister Dr. Keith Rowley the anniversary of independence provides citizens with another opportunity to reflect on the meaning of citizenship and the value of its national identity. “The world has brought us news of nations gripped by civil war, anarchy and terror. In many countries people do not enjoy the freedoms we may be tempted to take for granted. That our democracy has remained intact these 56 years is no small feat. “This deserves celebration given our status as one of the most multi-cultural societies in the western world. We have largely used our diversity as a bridge to make connections with each other. We’ve enjoyed a deep harmony that is intrinsic to our identity as nationals of this beloved country. We must guard our unity zealously. This defence is especially needed in turbulent times,” he said. Rowley said that it is times of difficulty that the urge to retreat to narrow interests and partisan lines can become the strongest. “But we must resist this and seek instead an agreeable guidepost. But how do we find common ground in an often polarising environment?,” he asked suggesting that the country remember the words of the first prime minister Dr. Eric Williams who said “whatever the challenge that faces you, from whatever quarter, place always first that national interest and the national cause”. Rowley said he has no doubt that “we will do what is needed to create sustainable growth and national development. It is our responsibility as loyal citizens to ensure that our children can be proud of the decisions that we must make today”. However, Opposition Leader, Kamla Persad Bissessar said the independence anniversary provides an opportunity “to undertake a sober, piercing assessment of our progress and the difficulties that still lie ahead. “The question must be asked: Have we achieved the Trinidad and Tobago which the leaders of our fight for independence envisioned more than half a century ago? In answering this question, we must decide whether we wish to maintain the status quo, or determine the future that we want for our children and grandchildren. “There is no question that our country today faces significant issues, and there appear to be no moves by the current administration to deal frontally with the problems affecting people, including escalating crime, inadequate health care, reduced opportunities for education of our young people, job losses, high cost of living, and a declining economy,” she said. She was critical of the government’s “silence” over the decision to shut down the oil refinery at the state-owned oil company, PETROTRIN, saying that the government had “failed to articulate a plan to address the issue of the state-owned company’s debt, and the long-term impact of the restructuring exercise on Trinidad and Tobago’s economy”. Meanwhile, Caribbean Community (CARICOM) Secretary General, Irwin laRocque has in a congratulatory message paid tribute to the creativity and dynamism of the people of Trinidad and Tobago as well as recognising the “significant contributions” that the country has made to the regional integration process. “Additionally, Trinidad and Tobago, as a founding member of the Community and lead Member State on regional security and energy issues, continues to make significant contributions to Caribbean integration and to the promotion and attainment of citizen and energy security,” he said. United States Secretary of State, Michael Pompeo, said that Washington and Port of Spain “have always enjoyed rich cross-cultural exchange, friendship, and the shared goal of building a more safe and secure region as underscored in the Caribbean 2020 strategy. “We are grateful for the continued strong partnership as our countries work to deepen cooperation on trade, energy, and opportunity for all,” he said. Joe Biden’s day is almost here. The former Vice President will officially launch his 2020 presidential campaign on Thursday.